What is interesting about digestion process that people may not hear before is the different rate of digestion that may depend on the various elements of food. Carbohydrates come first and the easiest to digest, while meats and fats take the longest to clear on our digestive system. Therefore, this piece of writing will bring to everyone’s attention the approximate rate of meat digestion according to nutrition expert. Before we fully digest the information of meat digestion, let us have clear view on how digestion takes place from the moment we ingest the food up to its last stop before the elimination process. In general, digestion process has no particular time because the entire process is unique to each individual (metabolism rate, age, food combination, etc). However, the normal range of digestion will take 24 to 72 hours. Now, let us have insight on how it takes to digest from the moment we ingest food up to the last process of digestion. The chewing takes only few seconds as we try to broken up the food in the mouth, moistened with our saliva, and formed into a ball or bolus for easy swallowing. The amylase in our saliva is responsible now to break down the starches and simple sugars in our food before it travels down to the esophagus then down to the stomach. Please take note that the longer we chew, the faster the digestion would take place because the rate of digestion speeds up as the food is broken down and chewed properly. Now, what happens when the food reaches the stomach? This is where food is combining with hydrochloric acid needed for digestion which furthers the breaking down of starches and also initiates digestion of protein. Then, once the food is properly churned in the stomach, it is now released in small increments and goes to the small intestine. Again, the rate of release varies and depends on the amount of foods which are already there in the intestines. So, in order to make room for the food, the remaining food in the stomach will initiate defecation and that is how we have a bowel movement few hours after we have enjoyed a heavy meal. Normally, it would take 4-5 hours for the stomach to be completely cleared, but then again, it would depend in the amount of food digested including the amount of materials which are already in the intestines. 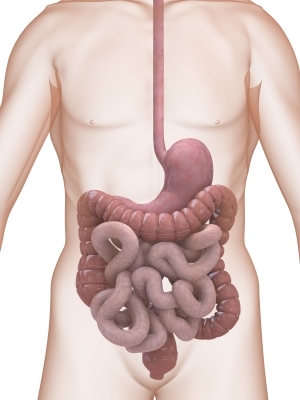 To further elaborate the hours of digestion from small intestine where the real digestion happens, the size of small intestine is normally ranging from 18-21 feet long and may take 3-6 hours for the chemical elements from food pass all the way though the blood stream to absorb the nutrients. For the food that already clears the small intestine and goes to large intestine or the colon to prepare the process of elimination, the approximate time could be 30-40 hours for food to pass through and eliminated from the body. Meat may stay in the intestines for 24-72 hours and still depend on its type. Likewise, red meat in particular takes 1-3 days to complete the digestion process because of fat content and high protein, according to Lisa Cicciarello Andrews of University of Cincinnati. With this regard, Dr. Stanley Bass has simplified the concept of sequential eating pertaining to good digestion process. He is a respected nutritional consultant in Natural Hygiene and after testing the concepts of the most advanced approach to better understand proper food combining rules, he summarizes the rate of meat digestion. Even the quick digesting foods have to wait until the slowest digesting food like meat leave the stomach. This process may take up to 6-8 hours. To be more exact on the digestive time of various proteins, egg yolk digestion time is around 30 minutes; the whole egg is approximately 45 minutes; fish which is less fatty like sole seafood, cod, flounder, and scrod takes 30 minutes to digest; while more fatty fish including salmon, herring, salmon trout can take 45-60 minutes to digest; the chicken without skin can take up 1 1/2 – 2 hours before it leaves the stomach (what more for chicken with skin? ); the turkey without skin is much longer to digest because it can stay 2-2 1/4 hours of digestion; the most favorite beef and lamb can really stay 3-4 hours; lastly, the pork which is always part of the meal can take 4 1/2- 5 hours to digest. Now, if the stomach is full, what happens to other foods ingested together with the meat like carbohydrates, starches, vegetables and fruits? While they are waiting for the stomach to be emptied, they undergo fermentation that produces acid, gas, and the most common indigestion problems. According to experts, to avoid having any symptoms of indigestion, know the basic rule of food combining rules (never consumed carbohydrates and protein at the same time; never consumed concentrated protein to another concentrated protein, or fats; same thing with concentrated carbohydrates with another carbohydrates, and many more) Then, the rule of the thumb could be: always starts to eat the most watery food, followed by less watery food, and so on. That is how Dr. Bass prescribed to his patients who are having indigestion problems; he rearranges the sequence of their food if they cannot totally give up their low-quality, accustomed and conventional foods. 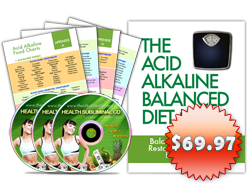 Can you imagine how very toxic these meat acids retain in our bodies for some period of time and can be the causes of several ailments? 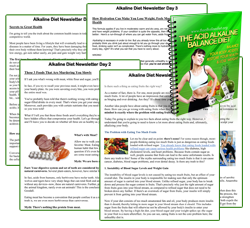 Nevertheless, alkaline foods can counter the acidic effect of meat to our body. Vegetarian diet is the best health solution to maintain total wellness. However, the vast majority still preferred to dominate their plate with large portion of meat and less fiber. This information may serve as an eye opener. We do not want to sound like very idealistic because in reality, only few people would only appreciate the vegetarian diet. Nevertheless, the key solution is balance. 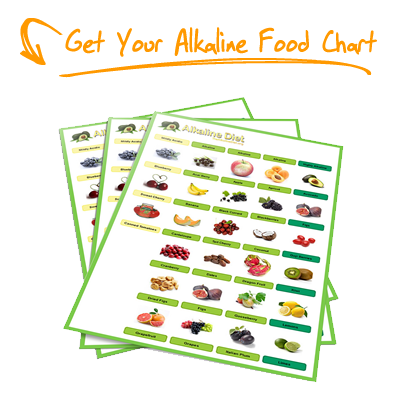 Alkaline diet proponents recommend 80% alkaline food (green leafy vegetables, lemon, etc) and only 20% of acid forming foods (grains, beans, certain nuts and seeds) on our daily diet. Nothing can harm us if we could have the willingness to modify our lifestyle in exchange for a healthy well being. Not until if it is too late.